Blog Quick Quotes: Mixing it Up with Wendy! Mixing it Up with Wendy! Hi everyone! 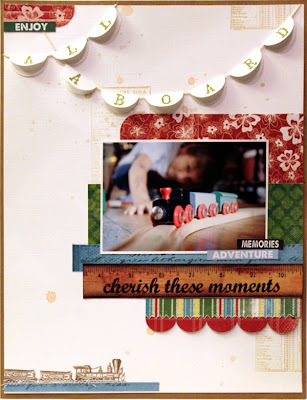 Wendy here and today I'm sharing a layout I created mixing a few Quick Quotes collections! I found this sweet photo of my oldest son in my stash of photos to scrap. I have a similar photo of my youngest that I'll have to scrap soon. 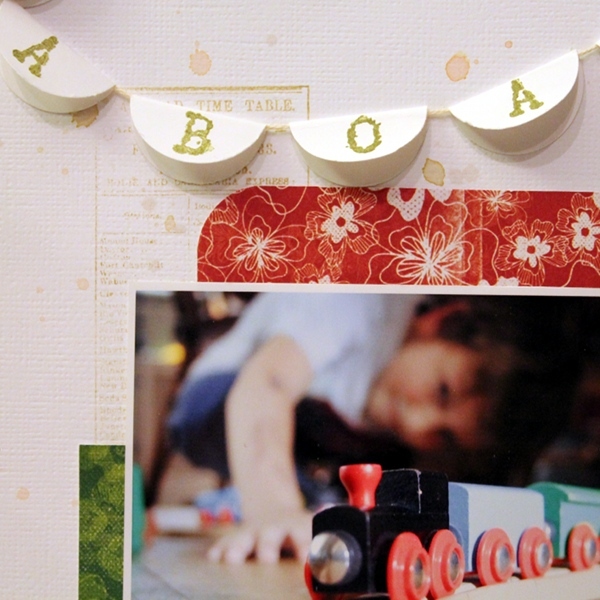 I used the colors of the train as inspiration to pull papers with. Press a Powder Puff inkpad on a nonstick craft sheet and spritz with water. Using a paintbrush splatter on background paper. Thanks for the ink splatter tip. What a sweet layout! Super tip for using the Chalking Inks. This is so sweet! I love the banners!